.These small sculptures are now available for sale as part of the fund raising efforts to support the. 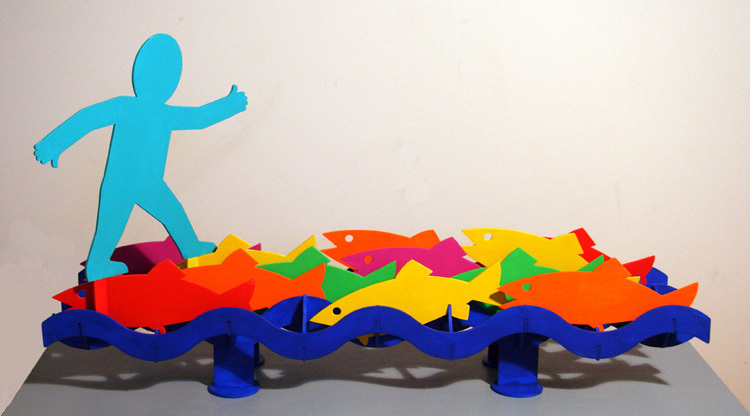 public sculpture project for the Valley neighborhood of Syracuse. .click on thumnail image for enlargement and details. 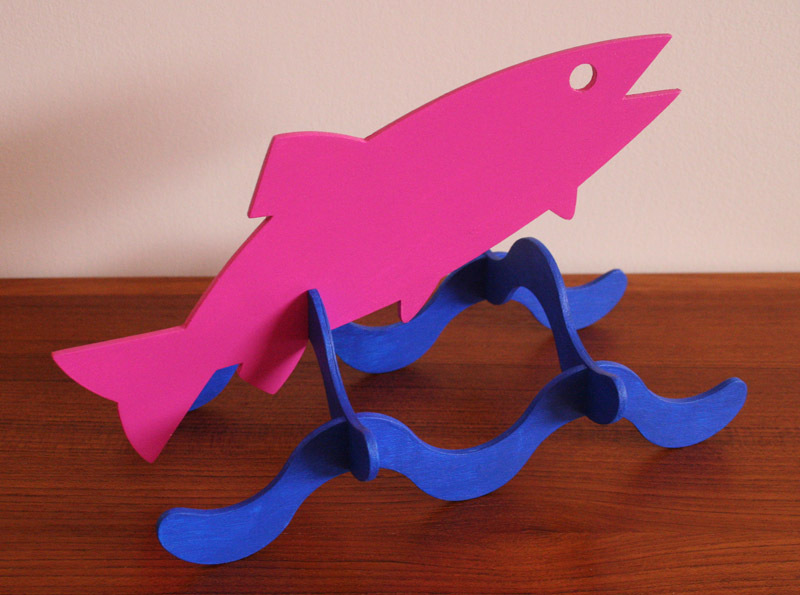 painted wood, 5.4"h x 8.9"w x 4.9"
Creek that one could simply walk across on the creek on the backs of the fish. 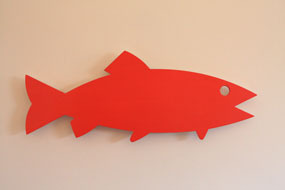 The sculpture is painted aluminum 6'-7" high x 3'-0" wide x 12'-0" long. 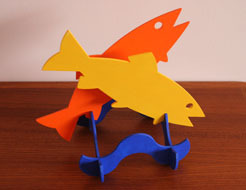 The figure is 4'-3" tall, each fish is 3'-8" long. The fish are 2'-10 1/2" above the concrete at the hightest point. Please contact me with your comments and questions by email at peter@petermichel.com or mail at the address below.